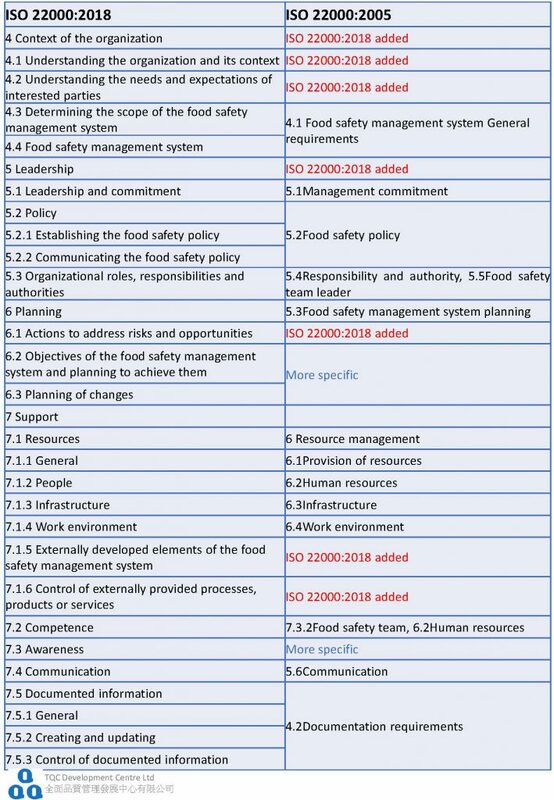 Difference Between ISO22000:2018 and ISO22000:2005 - TQC Development Centre Ltd. The revised standard of ISO22000:2018 was published 0n 19 June 2018. The high level structure: in order to make life easier for businesses using more than one management system standard, the new version of ISO 22000 will follow the same structure as all the other ISO management system standards, the High Level Structure(HLS). It makes it easier for organizations to obtain ISO certification of multiple ISO Standards. The risk approach: the standard now includes a different approach to understanding risk. The PDCA cycle: the standard clarifies the Plan-Do-Check-Act cycle, by having two separate cycles in the standard working together. 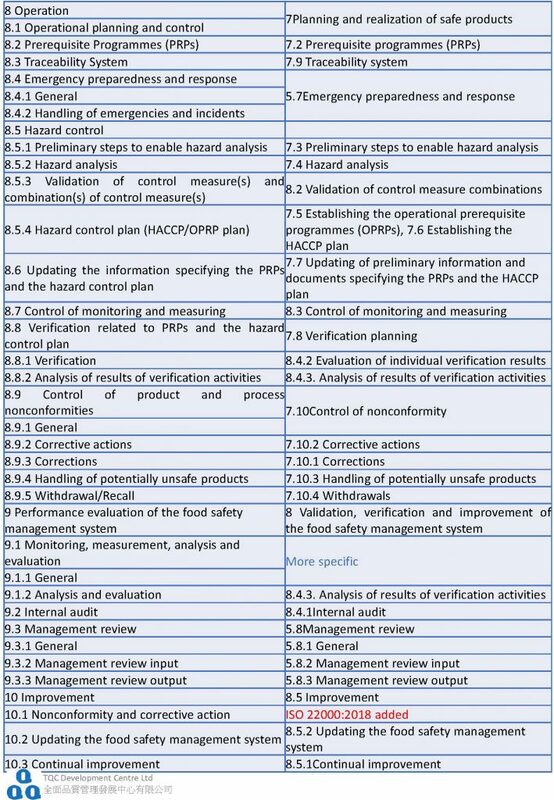 One covering the management system and the other, covering the principles of HACCP. The operation process: a clear description is given of the differences between key terms such as: Critical Control Points (CCPs), Operational Prerequisite Programmes (OPRPs) and Prerequisite Programmes (PRPs). Contact us for the transition consulting service of ISO 22000:2018. © 2019 TQC Development Centre Ltd.